Hi friends! You know how I enjoy using my Big Shot! Today I'm sharing a quick 3 x 3 gift card I made as a Convention swap using the Beautifully Baroque TIEF. I'm sure I've shared something similar before but I used Vellum cardstock on this card and really liked how it turned out and I especially like the unique size of the card. It's great for inserting into a gift. 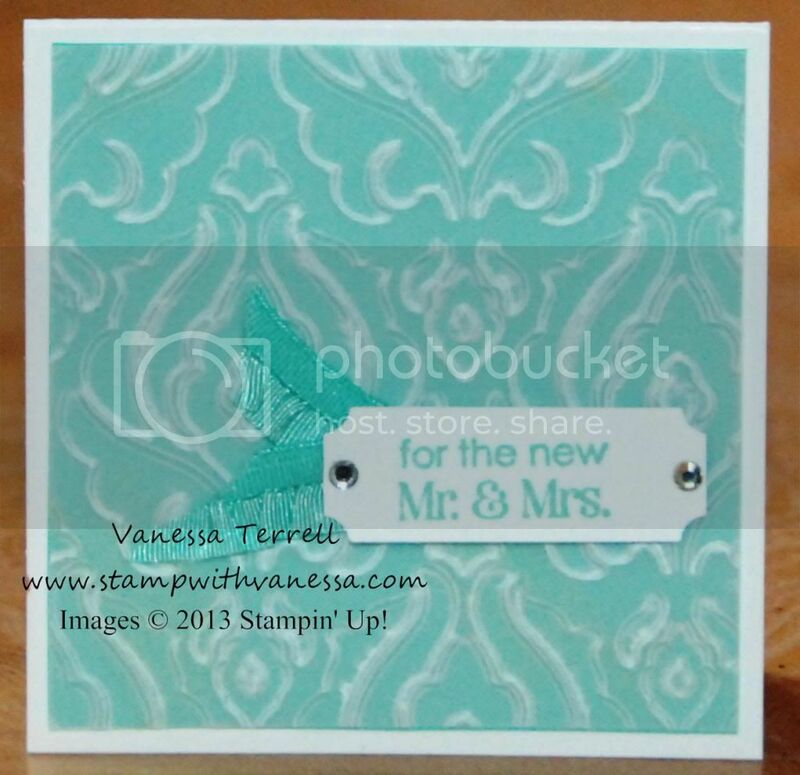 My card is perfect for a wedding! Here's my finished card. Just the right touch! I like the colors that I used and of course the bling! Along those lines...here's a short video on more uses for our Textured Impression Embossing Folders!